Dried chipotles – smoked jalapeno peppers – are the ugly ducklings of the pantry. Of all the other ingredients I have on hand, only sundried tomatoes come close to looking this inedible. But just open the jar and you know immediately that these are swans. Just the smell of this exotic, smoky, slightly fruity pepper is worth having them on hand. Mine sat on a pantry shelf, undisturbed except for the occasional whiff, for months before I started to figure out how to use them. Long confined to Mexican kitchens, chipotles have become common across North America and have started to make their way on to menus that aren’t considered Mexican or Southwestern. Nowadays, just about everybody knows how to pronounce chipotle and almost no one laughs when you say it out loud. 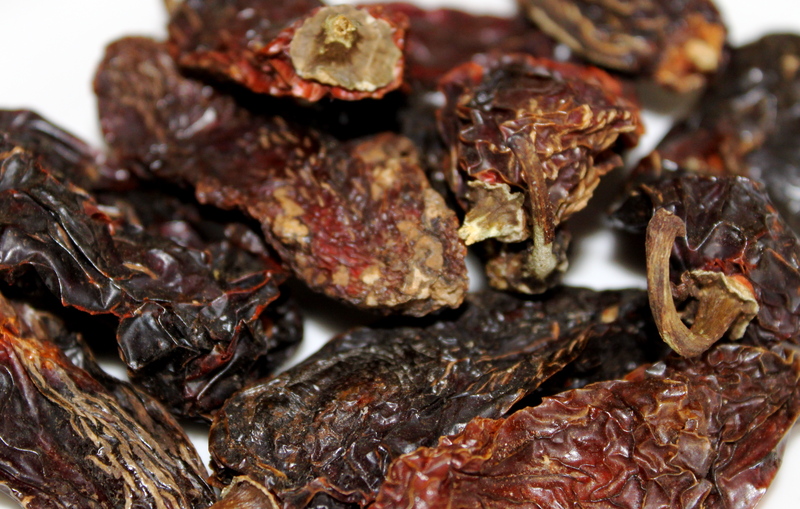 There are two main kinds of chipotles; chile meco , which are tan or beige and very smoky, are less common than the morita variety, pictured above, which are more widely used outside of Mexico. 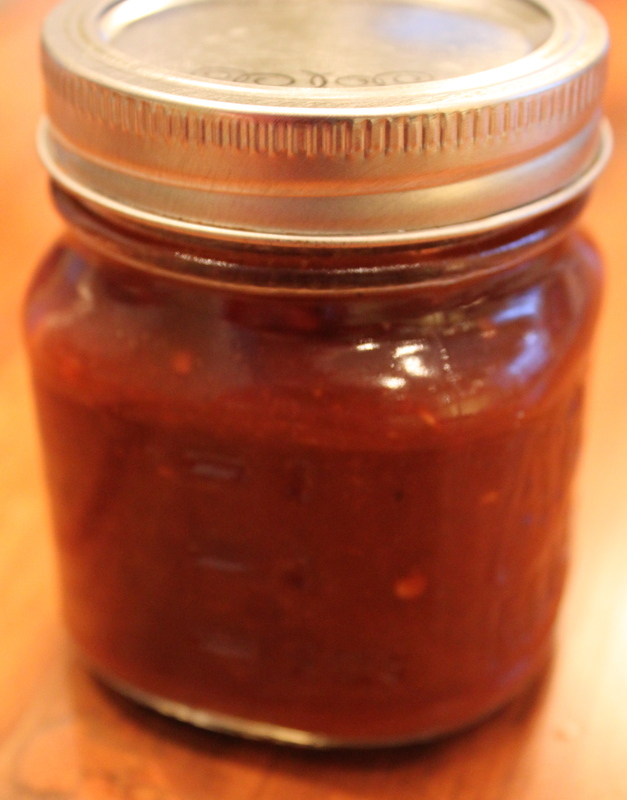 An easy way to start using these versatile chilis is to make chipotles in adobo sauce, a spicy, smoky condiment that can be added to soups, sauces, dips and stews for a little zip. I recently tasted, and am itching to try recreating, a chipotle Hollandaise sauce that gave a whole dimension to eggs Benedict. Remove stems from chipotles and cut lengthwise. Remove the seeds if you prefer a milder sauce. Mix all ingredients in a pot with 3 cups of water. Cook on low heat for 2 hours or more until liquid has been reduced to 1-11/2 cups. Puree in a food processor (optional) and store in jars in the refrigerator. Oh yum. I just bought two tins of chipotle in adobo sauce but this would be much better. I’ll have to try it. Oh wow! This one sounds great too. Usually I just the cans of chipotles in adobo sauce, never occurred to me to make it. Great post!